While still an honorable top 10 ranking with the League of American Bicyclists, Delaware's slip to #7 comes as no surprise. Delaware drops a few spots this year, despite passing the Bicycle Friendly Delaware Act. This reflects the incongruity between Delaware’s federal data on ridership and safety and its recent efforts to improve bicycling. Federal data for Delaware shows that not many people bike to work and that Delaware is one of the 10 least safe states to bike. While the safety data in particular can be scrutinized because it does not account for recreational riders, these two data points comprise a significant headwind for this coastal state. While many of Delaware’s roads were designed for high-speed car and truck traffic, neighborhoods were built as isolated communities. Delaware needs to focus on connectivity between neighborhoods, such as bikeway networks, so that walkers and bicyclists have safe and comfortable routes to destinations. This undeserved high ranking comes as quite a surprise. While Delaware does have anti-distraction laws on the books, they are rarely if ever enforced. It is to the point that motorists are routinely seen holding the phones in clear view of other road users, including the unresponsive police. This behavior is far more obvious and dangerous to bicyclists and other vulnerable road users, with vehicles drifting in and out of shoulders and bike lanes, across lanes, and through stop signs and red lights, while drivers look down at their devices. The few of us that do bike must be totally vigilant, monitoring what goes on behind as much as what's ahead, and adjusting our line in defense. Until Delaware begins strictly penalizing motorists for reckless endangerment and putting other's lives in danger, it will be extremely difficult to increase bicycling mode share. The Guardian published an excellent article, with this brilliant follow-up to our original post Why bicycle mode share is less than 1%. There are several reasons why bicycling is stuck at 0.2% of mode share, and the big push to fund separate infrastructure does not guarantee any tangible increase. Rock bottom gas prices reduce the incentive, while monster pick-up trucks, hulking SUVs and a return to the 70s muscle car era all contribute to the meanest of streets. Driver education is all but worthless unless testing is redundant, i.e. 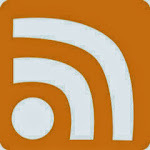 a re-test with every re-registration or at the very least, license renewal. As it stands now, DMV won't even distribute multi-modal educational materials or post PSAs. Once a juvenile receives their license for the first time, everything they've learned at DMV is all but forgotten within the first year or two. Like most everyone else, they start using their smart phones behind the wheel, and making up the laws as it suits them. Defensive driving also falls at the wayside -- very few Delaware motorists drive defensively. 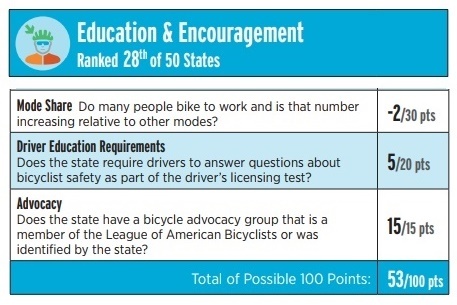 Bike Delaware's 15/15 ranking reflects just how out of touch the League of American Bicyclists (LAB) is with advocacy in our State. Bike Delaware has a proven track record of non-support and even undermining efforts at road bicycling infrastructure, education and enforcement. With a pro-development Executive Director, it's obvious why; the very notion that we can retrofit the built environment is a threat to TOaD (transit oriented development) and non-motorized pathways connectivity "for everyone". The organization has their followers believing that this can happen, even throughout New Castle County's auto-dependent suburbs. 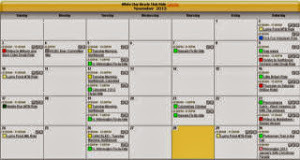 A significant part of any plan is shoring up the legal code with legislation. A Pedestrian Council subcommittee, under the direction of Bike Delaware's James Wilson, thwarted an attempt at a major overhaul of the State's vehicle code. The bill had legislator support and would have significantly increased pedestrian's rights and safety under the law. It also would have defined the laws of movement for bicyclists on pathways, and placed more onus on motorists to yield at intersection crossings. 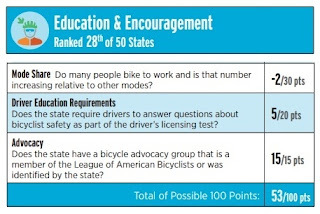 Even with LAB's vision of what makes a bicycle-friendly State (BFS), it will be difficult for Delaware to maintain a top-10 ranking -- never mind #1 -- unless we unite around a balanced and pragmatic approach to bicycle advocacy. LAB has been formally told on several occasions that serious problems exist with their sanctioned State organization, in that advocacy must focus almost exclusively on trails and pathways. We at 1st State Bikes prefer a more balanced and inclusive approach, one that recognizes that there are many different bicyclists, but that all deserve access to facilities that accommodate each cyclist's unique needs, whether they ride for recreation, transportation, or both. How can we "retrofit" the suburbs?